Continuing disagreements over the Trans Pacific Partnership (TPP) trade deal ditched by U.S. President Donald Trump mean 11 remaining members may not be ready to give it a wholehearted go-ahead at a summit in Vietnam this week, officials said on Wednesday. Clear agreement on proceeding without the U.S. would be a boost for the principle of multilateral free trade pacts over the bilateral deal-making that Trump argues will give a better result for American workers. TPP is a free trade agreement previously involving 12 member states of the Asia-Pacific region, including Australia, Brunei, Canada, Chile, Japan, Malaysia, Mexico, New Zealand, Peru, Singapore, the U.S. and Vietnam, and had been expected to serve as a counterweight to China’s growing regional dominance. However, the White House announced the United States’ withdrawal from the deal in January, leaving the remaining 11 members to adopt the new name of TPP-11 to continue negotiations without the U.S.
Japan has been lobbying hard for agreement on the sidelines of this week’s Asia-Pacific Economic Cooperation (APEC) summit in central Vietnam’s Da Nang City. However, officials from several member states said there was less appetite to move ahead quickly from some members - notably Canada, New Zealand and Malaysia. The pact aims to eliminate tariffs on industrial and farm products across a bloc whose trade totaled US$356 billion last year. It also has provisions for protecting everything from intellectual property to labor rights to the environment. Chief negotiators from the TPP-11 countries met on Monday and Tuesday. Their ministers are due to meet on Wednesday and Thursday in Da Nang. 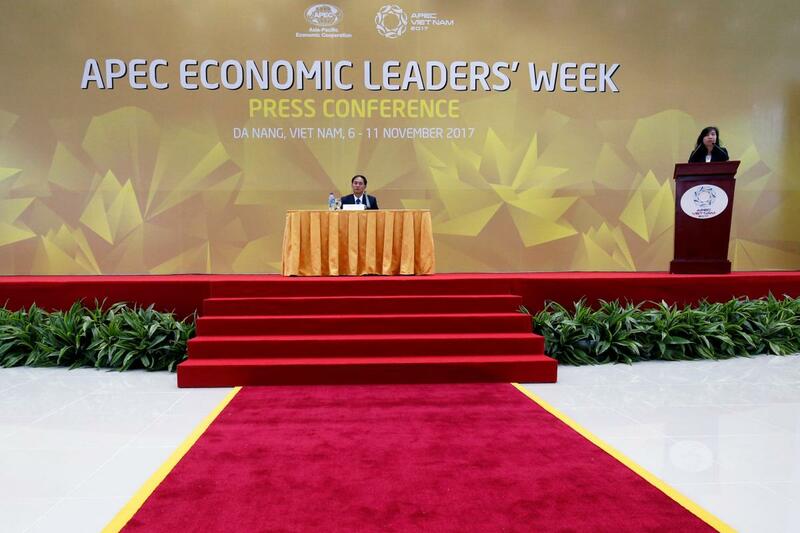 A meeting of TPP leaders, who are all also in APEC, has been tentatively scheduled. “Our view is that we need to take the time to get the right deal,” said one Canadian official who declined to be identified. Canada’s position is complicated by the fact that it is also renegotiating the North American Free Trade Agreement (NAFTA) with a Trump administration that pulled the United States out of the TPP agreement in one of its first acts. New Zealand’s new government has voiced support for the TPP, but Prime Minister Jacinda Ardern said it was too early to say a deal could be reached this week. “We see a real responsibility to come in and make sure that the agreement is in the best interest of New Zealand,” she said. For Malaysia, the main benefit of joining the TPP was the removal of tariffs on exports to the United States. With an upcoming election and strengthening ties with Beijing, it has less incentive to rush ahead. Vietnam itself had been seen as potentially the biggest beneficiary of the TPP when it included the United States. “Vietnam will work actively with other economies to reduce the gap between them to ensure the balance of interests after the United States decided to withdraw,” Vietnam’s deputy foreign minister, Bui Thanh Son, told a news conference on Tuesday. TPP trade ministers from the 11 remaining members agreed to move ahead without the United States at a meeting in Vietnam in May, but asked their negotiators to look at what might need changing ahead of the meeting in Da Nang. Japanese Foreign Minister Taro Kono told his Vietnamese counterpart on Tuesday that he hoped TPP-11 countries could reach an agreement in principle this week, a Japanese foreign ministry spokesman told a briefing in Da Nang on Tuesday.